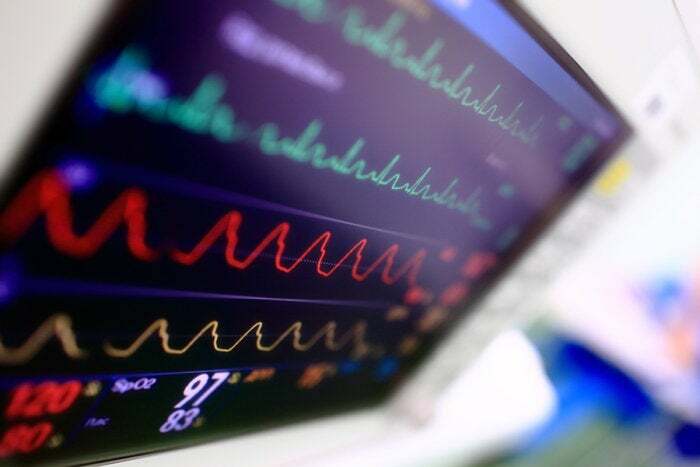 The U.S. Food and Drug Administration (FDA) has, for the second time in two years, issued recommendations to improve the security of connected medical devices. Not mandates – recommendations. Which immediately raises the question: Will anything that is non-binding put enough pressure on manufacturers to spend the time and money it will take to improve device security? That, as is frequently said, remains to be seen. The FDA issued what it called “guidance” on the “postmarket management of cybersecurity for medical devices,” at the end of last year. This follows “premarket” guidance that the agency issued two years earlier. And while there is no legal requirement to implement them, some experts say they will still have the power to force change, noting that just because they are not mandates doesn’t mean they can’t have significant legal impact. All it would take to confirm that is to talk with a lawyer about the implications of “best-practice” recommendations in a lawsuit over harm to a patient from a device that was hacked because of poor security. But then, there is Bruce Schneier, CTO of Resilient Systems and a privacy and encryption expert, who wondered in a blog post shortly after the postmarket guidance was published what was the point. But that got some immediate blowback in his reader comment section. “Doug,” said he had been in the device industry for 30 years, and that while the law regulating medical devices would not change, “the interpretation and enforcement will. “By knowing what the FDA is thinking, we can adapt our design, validation, and manufacturing efforts to meet these expectations. Guidance documents drive much of what we do,” he wrote. Several experts agreed that the guidance is worthwhile, and should push manufacturers in the right direction. But none of them thinks that it is time, or will soon be time, for users of such devices to relax. Obviously the stakes are high – a hack of an implantable or other connected device can cause much more harm than the theft of data or identity. It could kill. That, he said, meant that hackers would be able to take the same system offline if they got inside the organization. In this case, “luckily the device was not in use at the time of the assessment. Otherwise, this could have been catastrophic,” he said. And while physical harm to patients is clearly the most crucial risk to mitigate, there is also the risk of attackers hijacking a device in order to get inside a healthcare organization’s network. TrapX Labs, a cybersecurity defense vendor, in a breach report at the end of last year, said hijacked medical devices are being used as a back door to hospital networks. “Unfortunately, hospitals do not seem to be able to detect MEDJACK or remediate it,” said Moshe Ben-Simon, cofounder and vice president of services in a press release. So, how far will the recent FDA guidance move the security needle? It wouldn’t have to move much to make a difference. As Schneier noted, the new guidance does not break major new ground. It covers what most experts call good risk management and security “hygiene.” The FDA said in its statement that its recommendations are “encompassed" by the QSR, and which include requirements for for handling complaints, audit standards, corrective and preventive action, software validation and risk analysis and servicing. But the overall focus, which calls for manufacturers to maintain the security of devices throughout their entire life cycle is significant since, as has been widely reported, those devices tend to have a development cycle of five years or more, and then useful lives of 10 to 20 years. So following the recommendation obviously means designing in from the start the capability to patch and update vulnerabilities throughout the life cycle. The FDA also addresses what has been one complaint of manufacturers – some critics call it an excuse – that if they update a device, they have to go through a certification process again. The new guidance makes it clear that routine patches and updates don’t need to be reported or reviewed by the FDA. Vulnerabilities don’t need to be reported unless they cause deaths or other adverse events, or can’t be patched within 60 days. Manufacturers are, however, required to notify users, make changes that lower risk and to be a member of an ISAO, to which they must report the vulnerability and what they did to fix it. Ted Harrington, executive partner at Independent Security Evaluators, noted that the long development cycle of such devices is primarily focused on performance and safety of their mechanical elements, not the software. “The software itself can and should be evolved throughout the approval process, and must have an update mechanism to account for the evolutions in attack techniques, discovery of previously unknown flaws in operating systems and communication protocols, and other performance enhancements,” he said. The FDA also recommended that all stakeholders in the industry join Information Sharing Analysis Organizations (ISAO) to promote the sharing of threat information within the private sector and with government as well. That last item drew some criticism from Dr. Kevin Fu, CEO of Virta Labs and an associate professor at the University of Michigan, who recommended “caution and skepticism” regarding ISAOs in a letter last April on a draft of the guidelines. “The sharing of data is not useful if the data are not high quality,” he wrote, citing one case where a report of a vulnerability in one server prompted a hospital to use an even less secure server. Regarding the overall concept of government involvement in setting security standards for medical devices, there is some debate. Shawn Merdinger, an independent security researcher, said the market can be a more potent force for improving security than government regulation. He pointed to the move last fall by short-seller investment firm Muddy Waters to publicize research by MedSec Holdings that found flaws in pacemakers and defibrillators made by St. Jude Medical Inc., which drove the company’s stock price down. And Harrington said he is not a fan of government regulation in cyber security for several reasons. “It takes too long to develop, is outdated by the time it becomes enacted, is too riddled with compromise and it attempts to apply a uniform security model to organizations that are innovating and thus by definition are not uniform,” he said. Ostashen said government should play a role – a more aggressive role. “The FDA must set up regulations as strict as those for HIPAA (Health Information Portability Accountability Act, which mandates the protection of personal health information),” he said, adding that he sees cyber liability insurers refusing to pay for damages if they believe an organization was negligent for not following best practices. Overall, Domas said she applauds the FDA for, “taking the issue of security in medical devices seriously.” She noted that the agency has been heavily involved in medical conferences and guidance working groups. “They have been soliciting feedback and buy in from the whole medical ecosystem, including medical manufacturers, hospitals, and security researchers,” she said. Guide your comments over to Facebook.